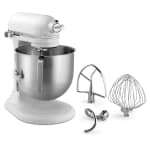 KitchenAid's Commercial Series mixers use a powerful high efficiency motor that can mix up 14 cups of flour at one time and have a hinged power hub cover for additional attachments. 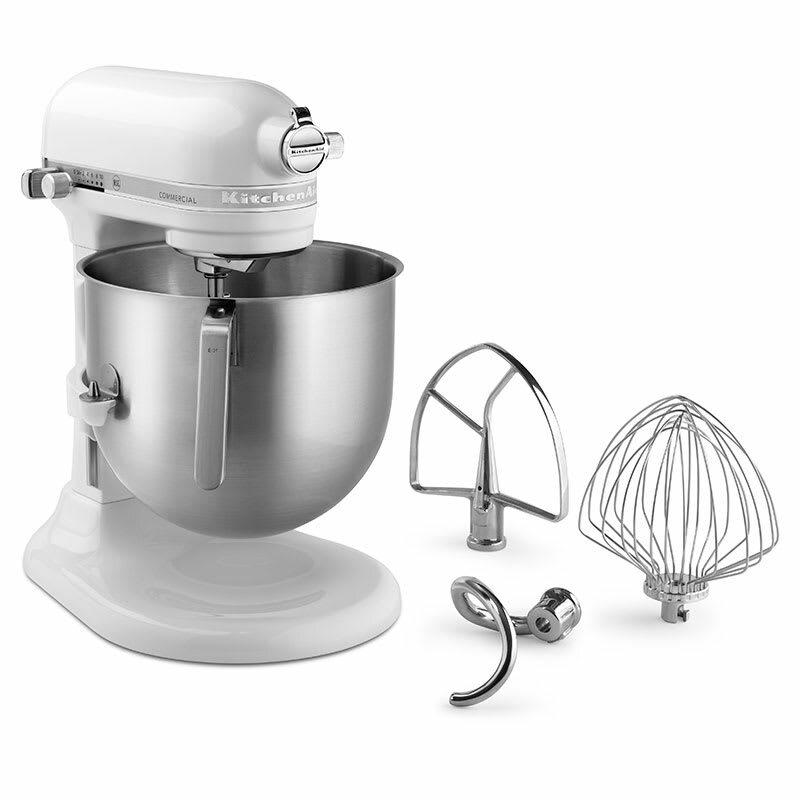 This mixer includes an eight quart brushed stainless steel bowl with a J-style handle and metal control knobs for operation. The mixer is NSF certified for operation in restaurants, and all accessories are dishwasher safe.